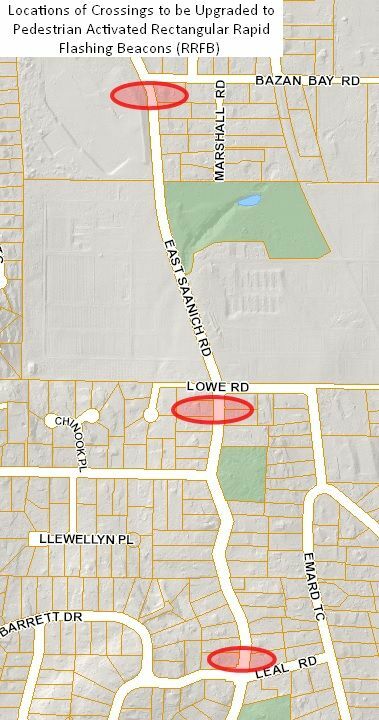 In the summer of 2018, a pedestrian safety study was undertaken along the East Saanich Road corridor between McTavish Road and Barrett Drive/Leal Road. Numerous concerns from residents about the challenges for pedestrians to navigate this area were shared with the consultant. Traffic and pedestrian counts as well as speed measurements were performed to determine the best methods to mitigate those concerns. The resulting report was presented to Council in January 2019 and the recommendations of the report were endorsed. 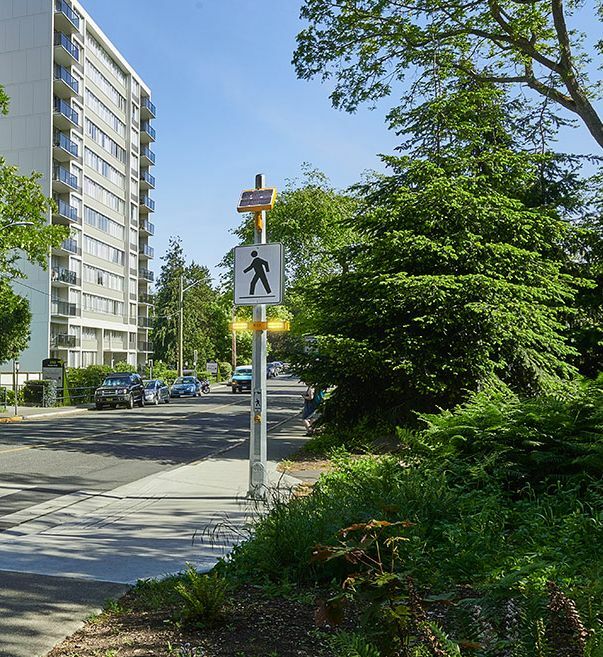 Improvements to the existing pedestrian crossings were suggested as the warrants for pedestrian use and traffic volumes indicated a higher level of warning device could be used. This year, the District will upgrade these crossings to include pedestrian-activated Rectangular Rapid Flashing Beacons (RRFB). These on-demand crossing indicators are highly visible and will alert drivers at all times of the day when a pedestrian wishes to cross the road.